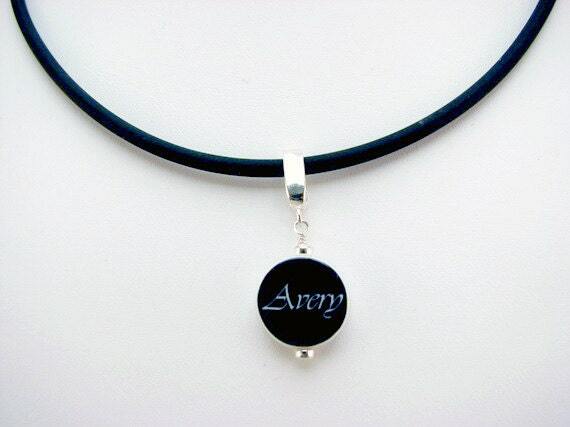 This high quality, chic, black rubber cord necklace is very light-weight and the rubber provides a very trendy fashion look that has never been more fun to wear! The 16" length gently rests on your collar bone, and a little longer with the 18". I can add a 1" extender chain by request. 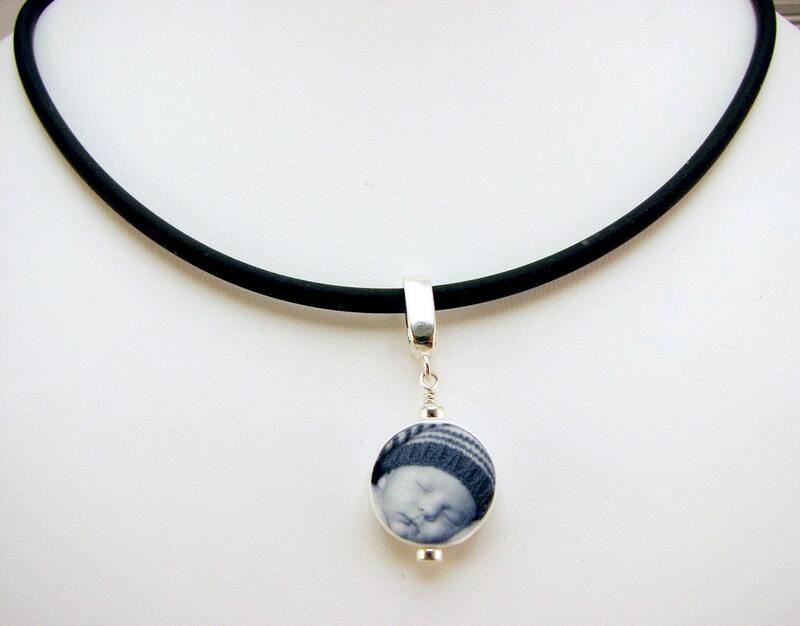 It comes with a .5" Round Photo Charm on a sterling silver bail. This necklace has a sterling silver lobster claw clasp and a threaded end-cap, so you can add beads if you like. 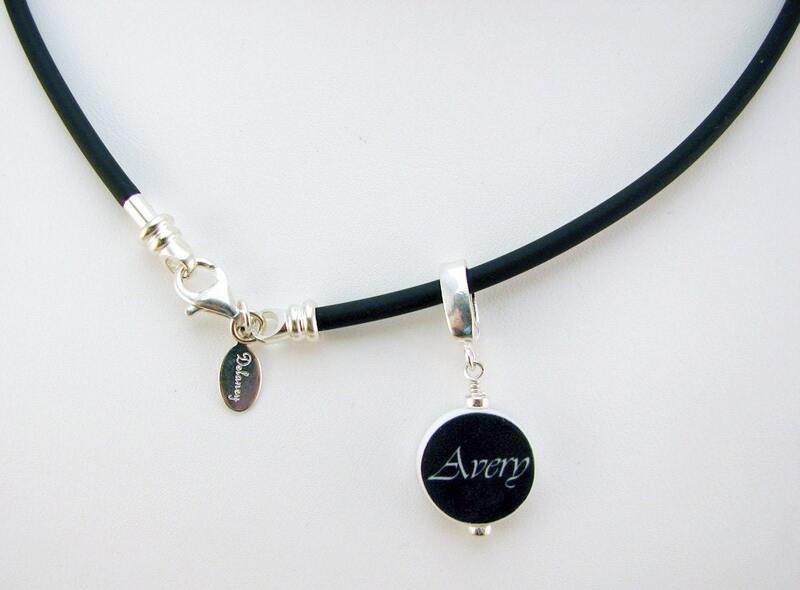 Your charm can also be transferred to another bracelet or a necklace.